COG STUDIOS, Calif. – It was a busy weekend for the Corner of the Galaxy crew. First, Josh Guesman, Eric Vieira, Wendy Thomas, and Larry Morgan attempted to entertain their first-ever Live Show audience with a 100 of their closest friends at Taps Brewery in Tustin. And then, the next night Josh and Eric were back at it for the launch of “Night Navy” – the Galaxy’s second kit launch party! 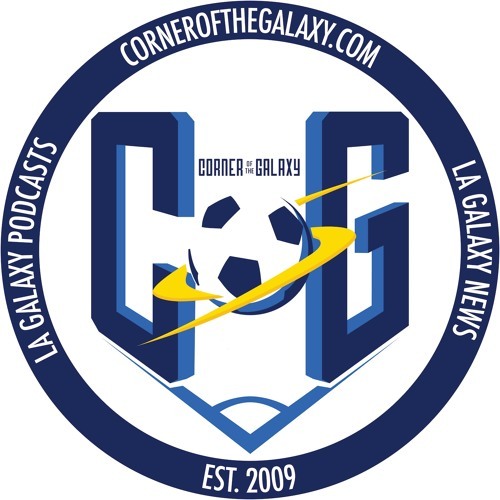 After one 101-minute podcast and another 6-minute video, Josh is back to discuss all that is happening with the Galaxy as they head into their final week of the 2019 preseason. And to help him do that, he’s joined by journalist extraordinaire, John Rojas. John calls into the show to keep Josh pointed in the right direction and to impart his never-ending knowledge of the Galaxy and Guillermo Barros Schelotto. Josh will start by reliving a couple fun moments from the live show, before turning his attention to Sebastian Lletget, and the rest of the Galaxy team at The Novo for launch party. Was Giovani dos Santos welcomed with open arms? And what was the best story of the night from the event? It involves some adult beverages. And where has Bradford Jamieson IV been? We’ll try and get you up to date on his fluid situation. Finally, Josh and John will really close out the show by making sure that you understand exactly who’s in charge of this team in the preseason and why Giovani dos Santos has nowhere to hide in 2019. If he’s staying with the club, there is only one option for him. And that’s to perform. It’s a great 60-minutes of Galaxy talk covering a very busy weekend in Galaxy land. And we’re so thrilled we got to spend so much time with our favorite people – our listeners! Music Provided by Back Pocket Memory. Thank you for the Wooden Spoon explanation! Download Bad bids, a 'Night Navy' launch, and a very busy Galaxy weekend. Users who like Bad bids, a 'Night Navy' launch, and a very busy Galaxy weekend. Users who reposted Bad bids, a 'Night Navy' launch, and a very busy Galaxy weekend. Playlists containing Bad bids, a 'Night Navy' launch, and a very busy Galaxy weekend. More tracks like Bad bids, a 'Night Navy' launch, and a very busy Galaxy weekend.